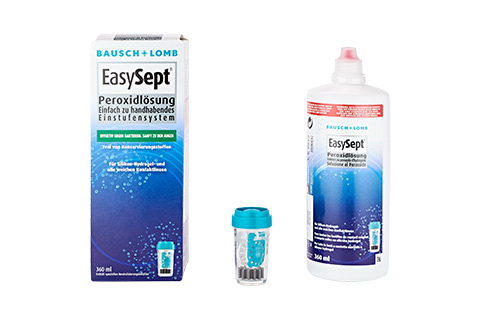 EasySEPT from Bausch & Lomb is a hydrogen peroxide one step system for the disinfection and storage of all types of soft contact lens. EasySEPT's sterile, buffered solution contains 3% hydrogen peroxide and works without preservatives - which means it's gentle on sensitive eyes. The 360ml pack of EasySEPT® comes with a catalytic disc case, for one step disinfection and neutralisation.